opencart customer testimonial module - CODELISTPRO | Free Premium Scripts, Plugins, Apps Source Code. 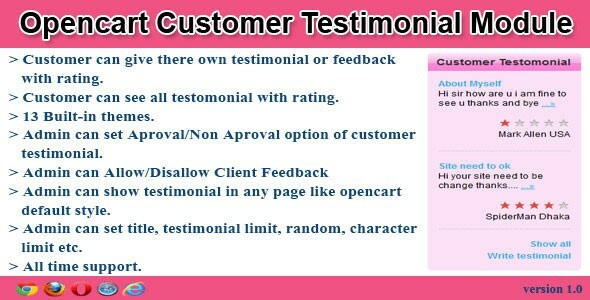 Opencart Customer Testimonial Module” is the best module for give testimonial, feedback, comments, review of customer in an opencart website. Customer can view their testimonial after admin approve. Customer can also give ratings.